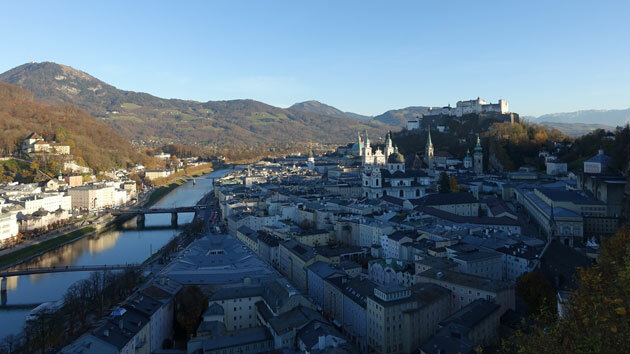 The hills are alive with the sound of music with songs they have sung for a thousand years. 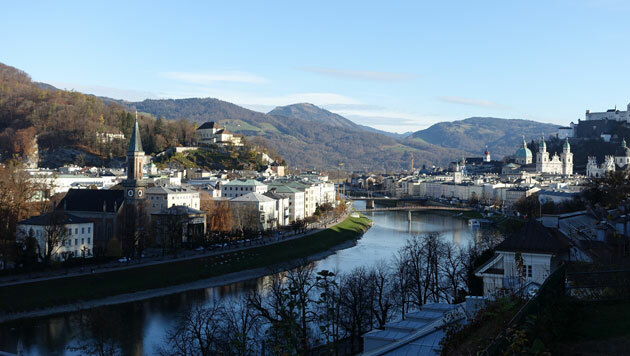 The hills fill my heart with the sound of music. My heart wants to sing every song it hears. 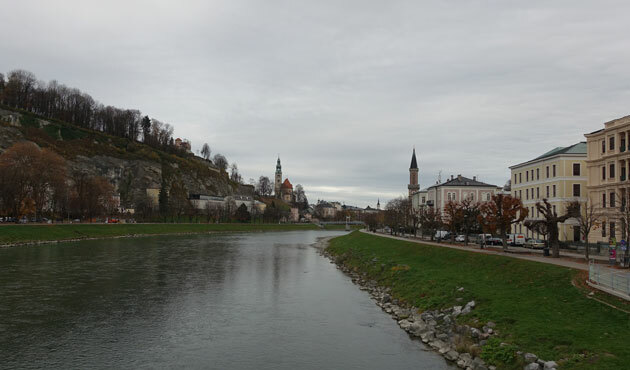 Salzburg, Austria. 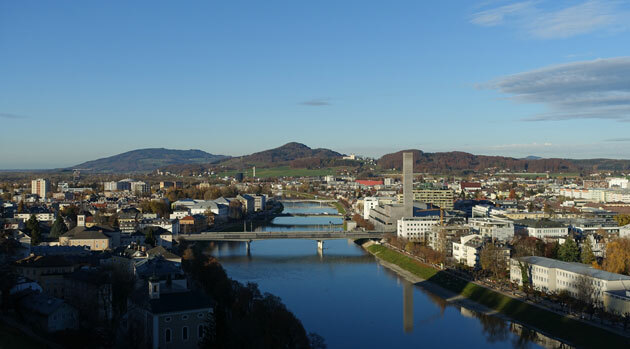 Situated in the west of the country close to the German border, it’s probably best known these days as the home of the Von Trapp family and the location of The Sound of Music (oh, and Mozart’s birthplace if you prefer your music to be a little more classical). Who can forget Julie Andrews on the hilltops singing her love of the landscape? 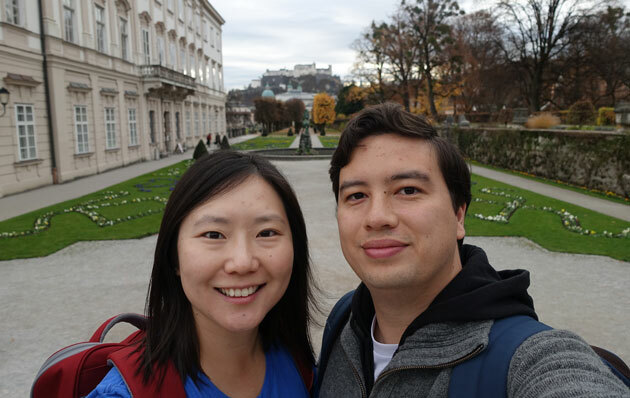 K and I visited Salzburg on a day trip from Munich, primarily so I could explore some of the locations used in the filming of the movie. 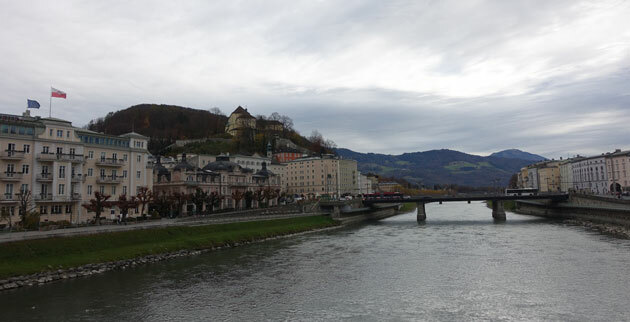 Having a fantastic lunch at Restaurant Brunnauer was really just the icing on the cake! 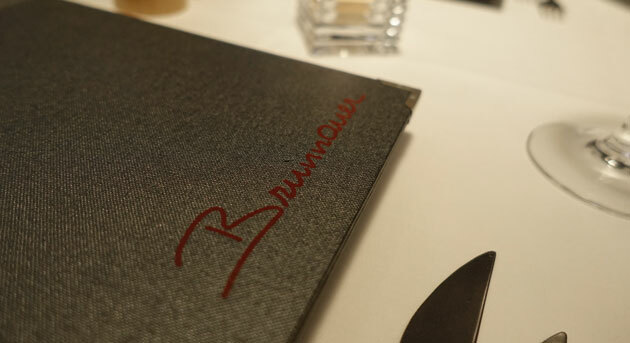 Relying primarily on Tripadvisor reviews, I chose Restaurant Brunnauer as a restaurant that could offer us the best ‘bang for our buck’. With main courses regularly costing over 25 Euro at this restaurant, their daily lunch menu offering of two courses for 16 Euro was a real bargain. With the added bonus of a 5 Euro daily dessert (normally 14 Euro), it was an offer too good to pass up. 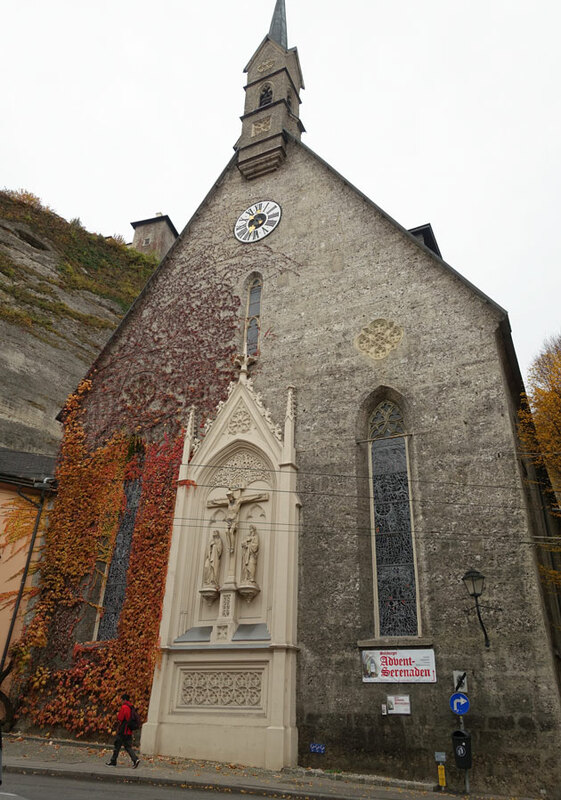 Located a little bit out of the main area of Salzburg in a residential neighborhood, we were easily the only tourists in the restaurant (located in a cave under one of Salzburg’s many mountains in case you’re interested). 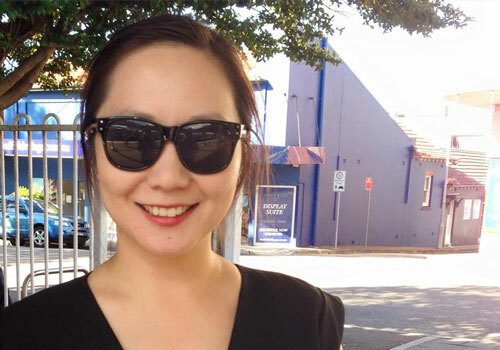 All around us were local businesspeople having long business lunches – suits were a plenty, and K and I felt a bit underdressed in our T-shirts and jeans! 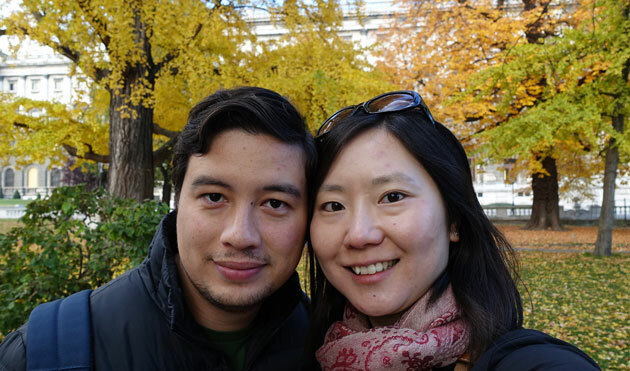 The waitresses were very nice to us despite our casual wear, and easily switched to perfectly fluent English. We had a large bottle of sparkling water of course, and K ordered an additional drink – a House-made Lemonade with Mint. 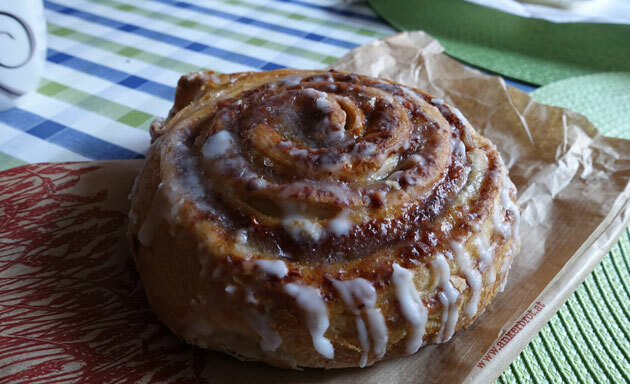 It was just as described – probably on the sourer side without the addition of too much sugar. The first course of the set lunch menu that day was Smoked Halibut with Beetroot and a Horseradish Cream. The beetroot was sliced paper-thin and was very very sweet – perfectly fresh and in-season. 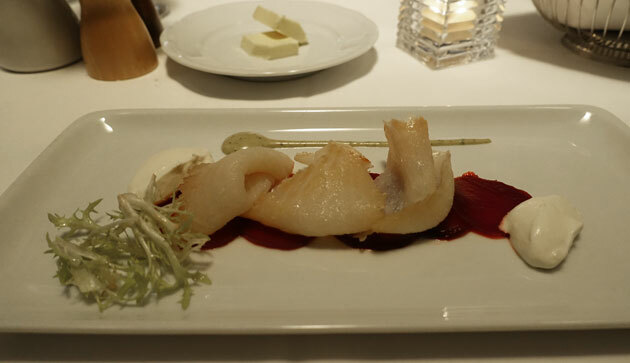 The horse-radish cream gave just the right kick to the sweet beetroot and the halibut. As it was quite a lean fish, it meant that the flesh wasn’t quite as creamy and smooth as other smoked fish. It was very interesting as a change of pace from the usual smoked salmon though! 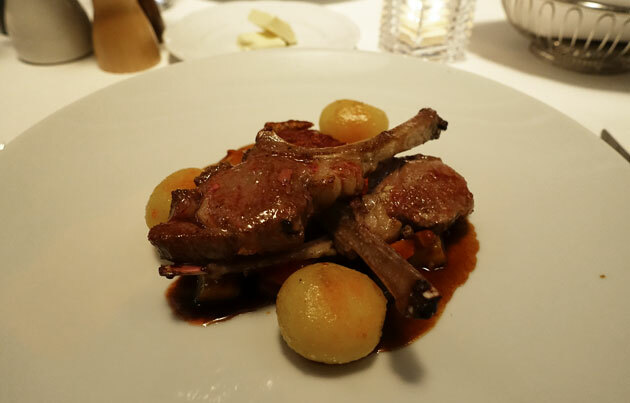 The second course of the set lunch menu was Grilled Lamb Cutlets with Ratatouille. The lamb was amazingly tender, and cooked to medium so it was still quite pink inside. 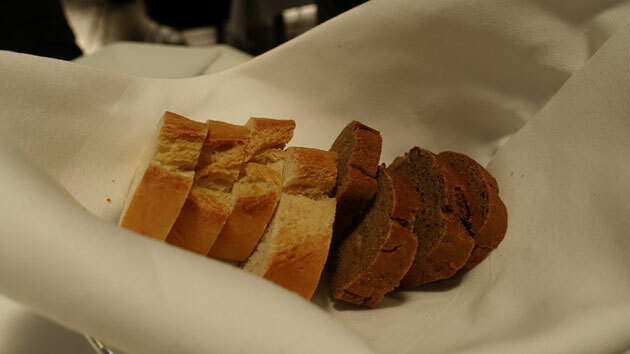 The bread basket came in extremely handy at this point to sop up some of the extremely rich (wine-enhanced?) sauce of the ratatouille – which to be honest, was almost too strong! 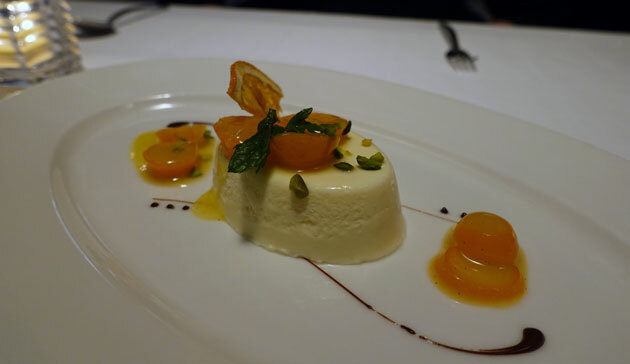 We finished by sharing a single dessert from the daily menu – the Orange Mousse with Cumquats and Pistachios. There was a more traditional chocolate mousse on the menu, but we thought the orange mousse would prove to be more of a palate-cleanser after the intense rich flavours of the previous lamb dish. This was definitely the case – the orange mousse was light and airy, and a perfect way to finish off a meal on a delicate and refreshing note. Restaurant Brunnaeur is a gorgeous little restaurant. No doubt a lot fancier at dinnertime, they are more relaxed at lunch and will welcome walk-ins on weekdays, even if you’re dressed casually as a tourist in a T-shirt, jeans, and hiking shoes! It’s an unusual space as well, being right inside the mountain in a cave-like room. 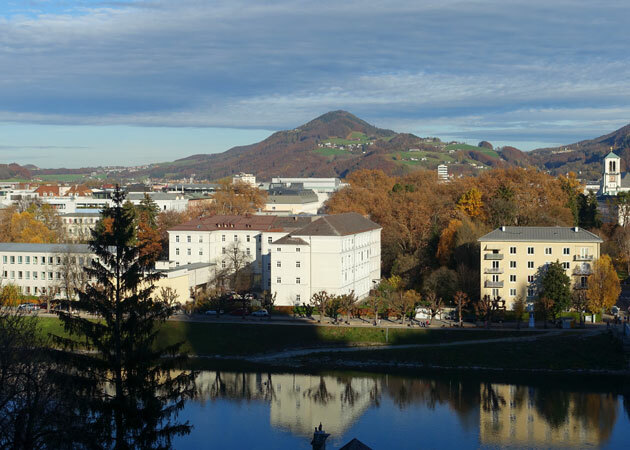 It makes me wonder how long the space has been there, and what it was before it was turned into a restaurant…perhaps a hide-away for rebels like the Von Trapp family against the Nazis? 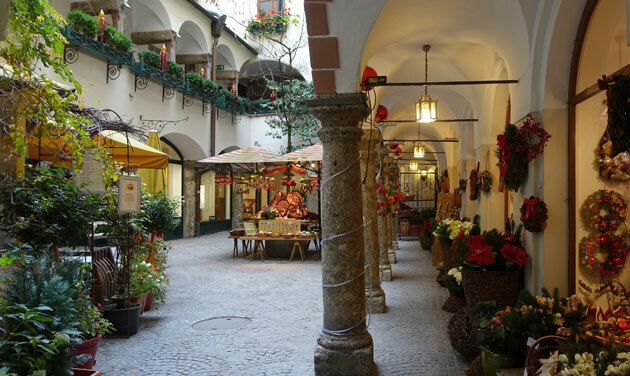 Restaurant Brunnaeur is located at 13A Augustinergasse, Salzburg. 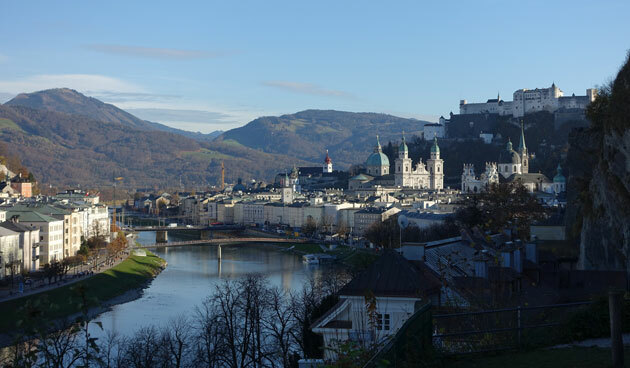 Salzburg itself is a gorgeous city, and offers a bit of everything. If you like picturesque old towns, it’s got that in spades. 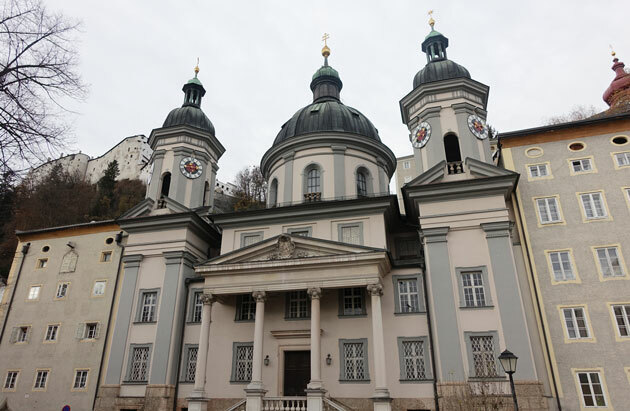 If you like music, it is the birthplace of Mozart and there are regular performances in its theatres and concert halls. 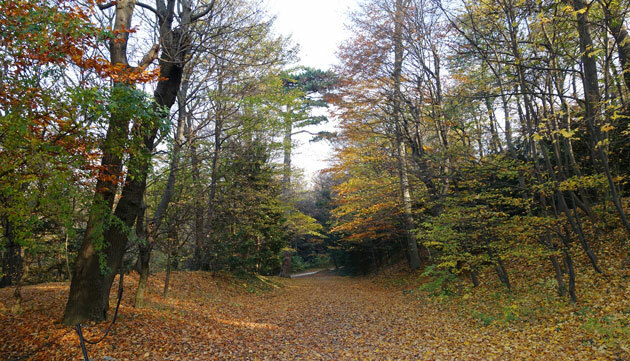 If you’re outdoorsy, there are mountains all around for you to hike up. 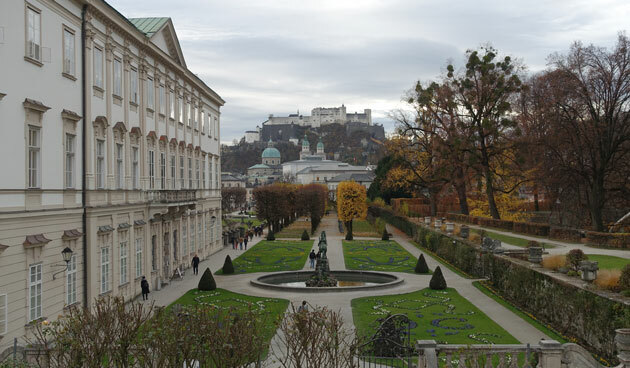 If you like joining a tour, there’s plenty available – many Sound of Music themed, but some general tours as well. 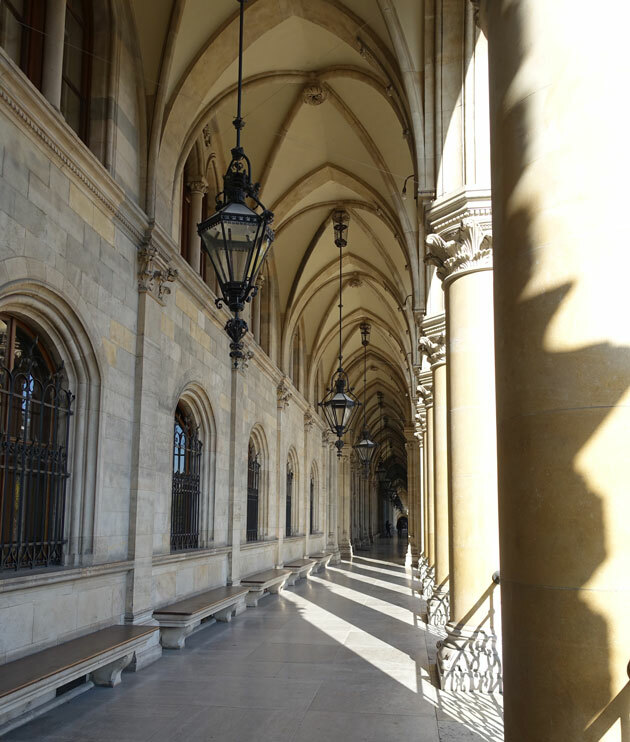 It’s a fantastic destination for a daytrip from Munich! 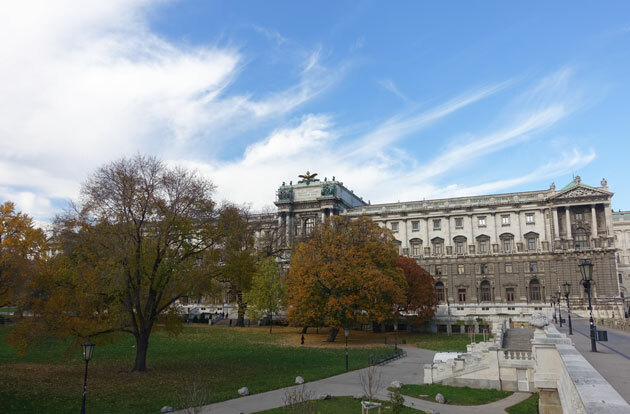 Vienna was always planned as a chill-out and relaxation stop for us on our trip, as the first destination after a month of driving around France, Spain and Portugal. For those who spend a lot of time in the car, you’ll know how exhausting it can be – not just physically, but mentally as well as you spend your time concentrating on the road. 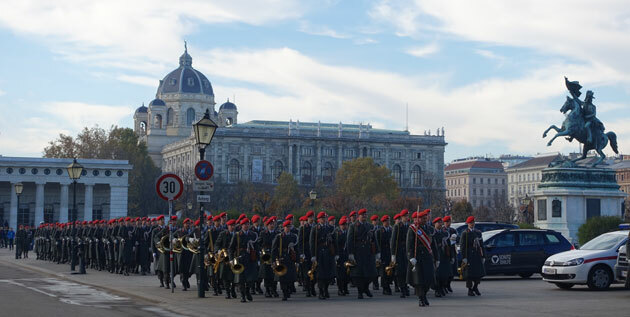 Combined with endless days of sightseeing and roaming around a new city, it was a truly exhausting month! 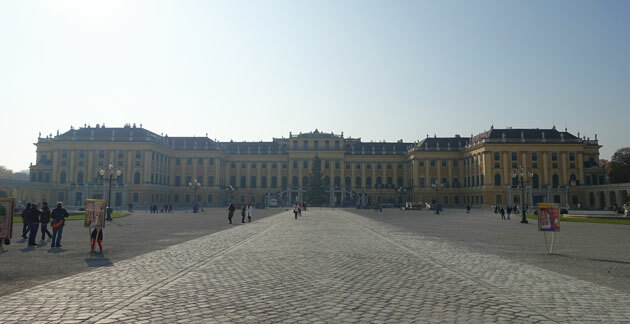 So with that in mind, we booked eight nights in a much nicer Airbnb apartment in Vienna. 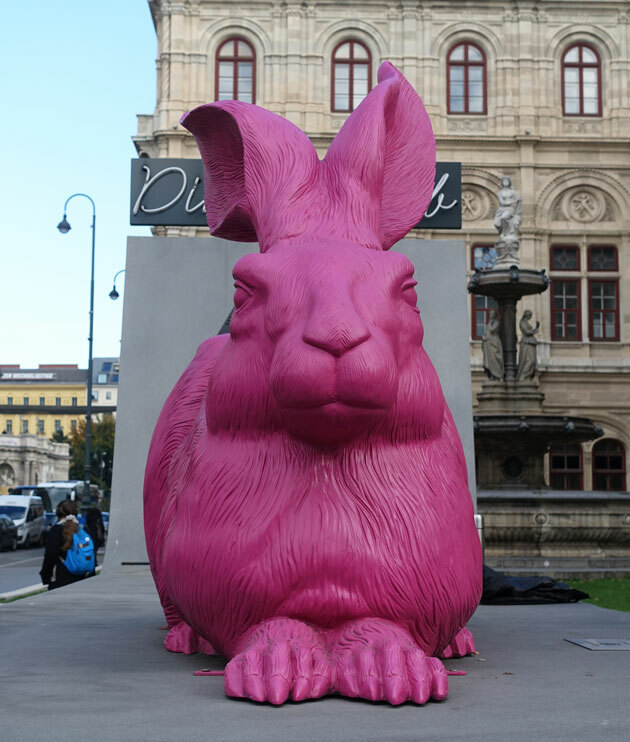 We knew that if we were doing the usual tourist thing of spending all day out seeing the sights, we probably wouldn’t need that many days in Vienna – five nights might have been enough. 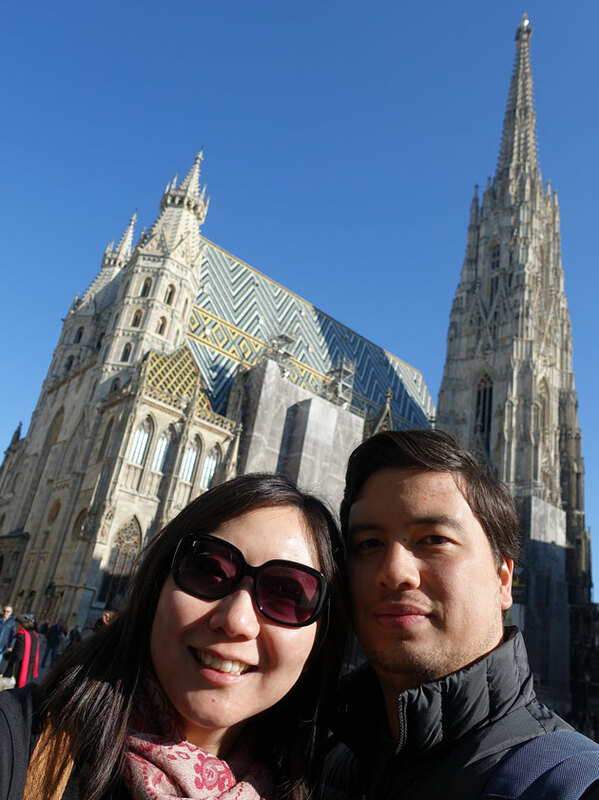 But we wanted to stretch out our time in Vienna to be a more relaxing trip with sleep-ins in the mornings, the occasional lazy afternoon, and quiet cozy nights in. Obviously, it doesn’t mean that we didn’t go out though! 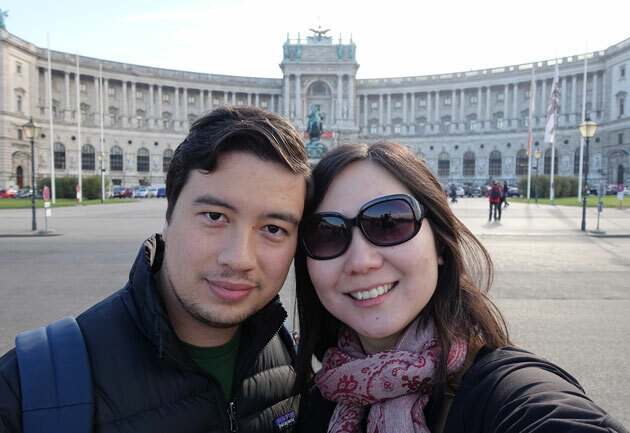 We spent a lot of time wandering around the old part of Vienna, soaking in the huge palaces and impressive monuments. 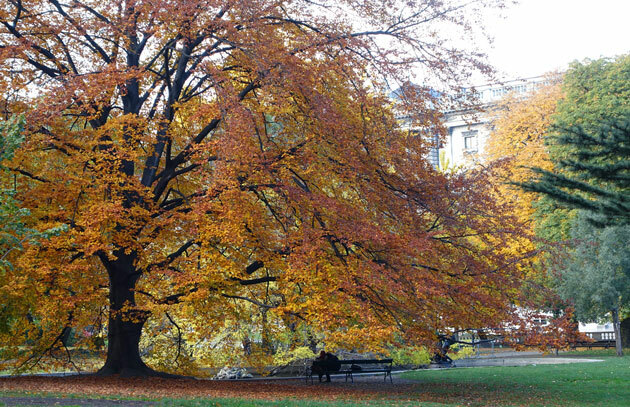 We fell in love with the beautiful foliage in Vienna’s public parks and gardens – it was the first real sign of autumn that we had encountered on our trip, and the range of colours in the trees was purely magical. 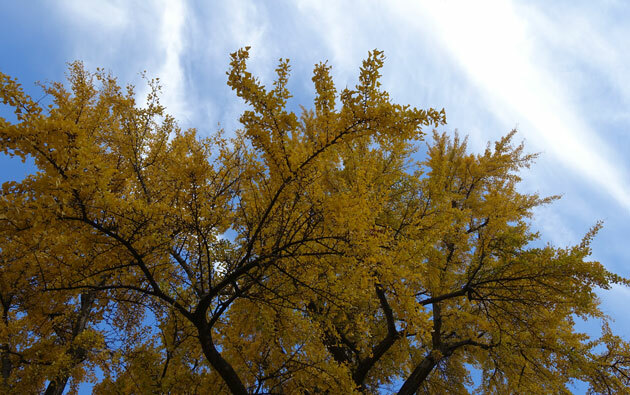 I might be too much of a city girl when I’m in Australia, but I can honestly say that I’ve never encountered that richness of colour in an Australian autumn. 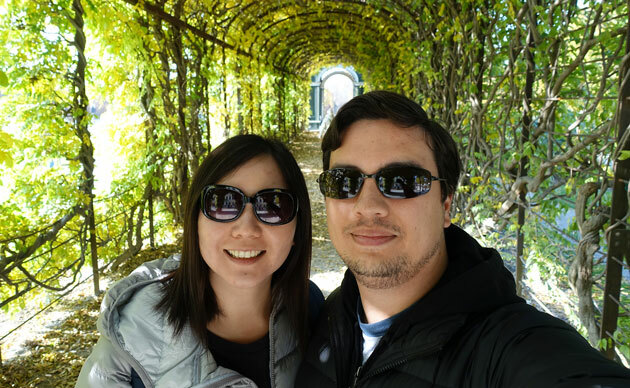 I particularly enjoyed our visit out to Schonbrunn palace which combined the beauty of extensive gardens going through the changing colours of autumn, with the opulence and the history of the Hapsburg royal family. 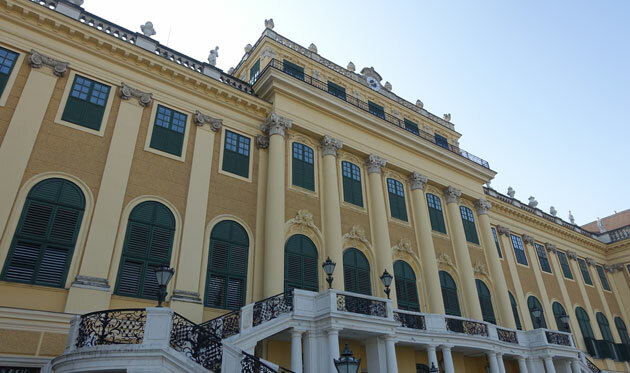 While the building itself doesn’t have a particularly ornate exterior, the interior definitely makes up for it – and the audio-guided tour is superb. 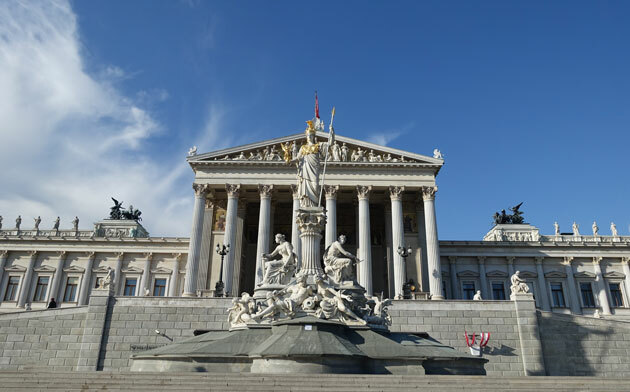 The tour concentrates primarily on the most famous ruler of the Hapsburg dynasty, the Queen and Empress Maria Theresa, and also one of the last Kings of Austria, Franz Joseph I – both powerful and influential leaders in their own way. 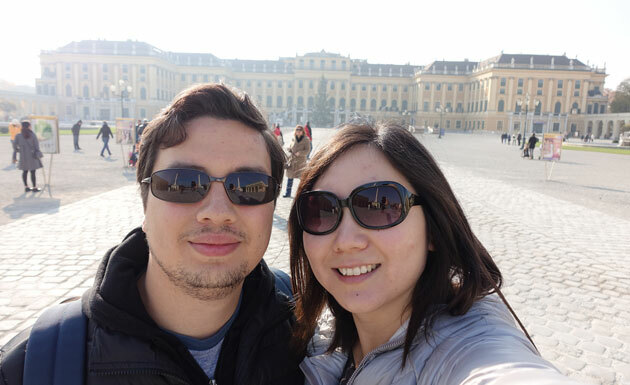 By far the best day that I had in Vienna was the day of my 29th birthday. 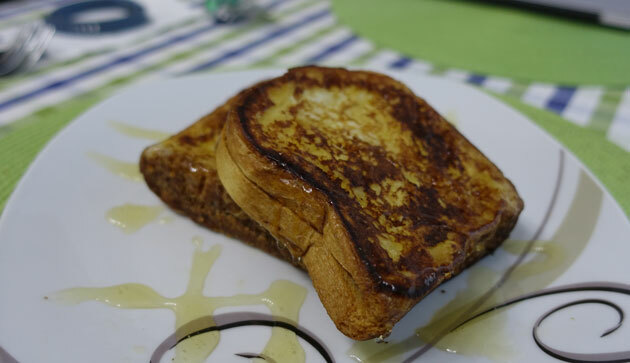 It started early with K cooking me brioche French toast, and then continued with the fantastic meal that we had at Restaurant Steirereck. 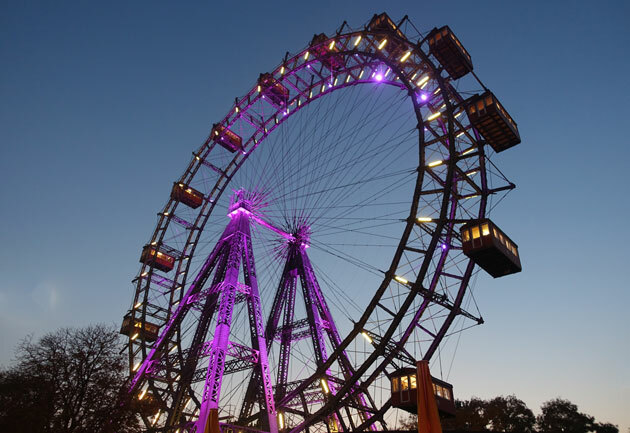 We went on to visit the Prater amusement park in the late afternoon, and took a ride on the historic Wiener Riesenrad, or Vienna Ferris Wheel which dates back to 1897. We finished the day by watching Tom Hiddleston’s (my favourite actor!) 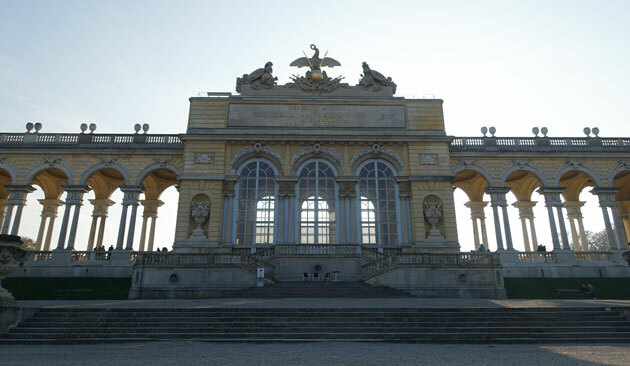 new film Crimson Peak at the Viennese English language cinema, the Haydn Kino. 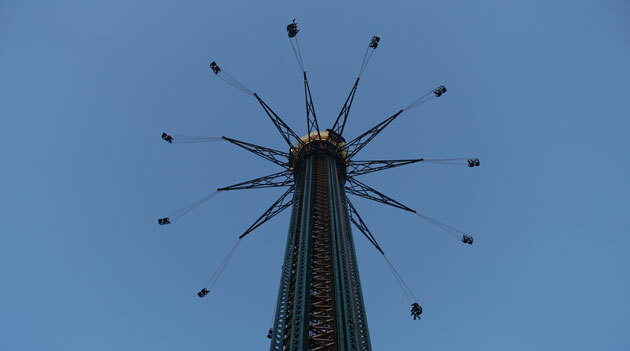 It was literally the perfect day – great food, an amusement park, and watching my favourite actor in a new film. 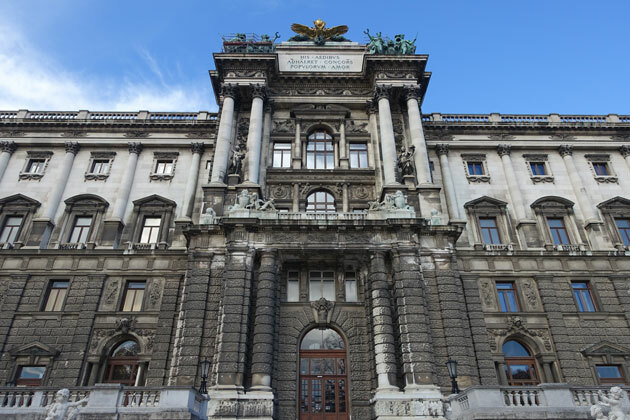 Speaking of great food, we had a series of great meals while in Vienna. 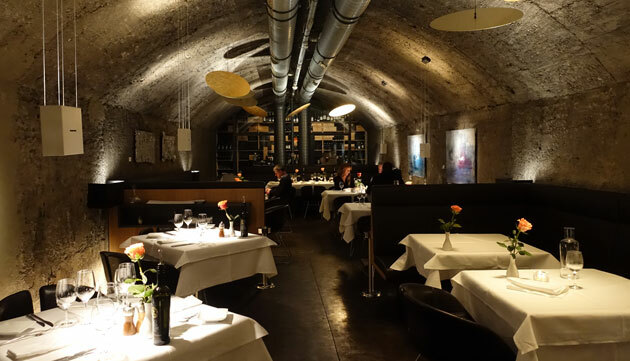 Steirereck was by far and away the best meal, but we also enjoyed our traditional meal at Zum Alten Fassl. The meal we had at Restaurant Weimar before attending the opera was a little more disappointing, but you can’t win them all. 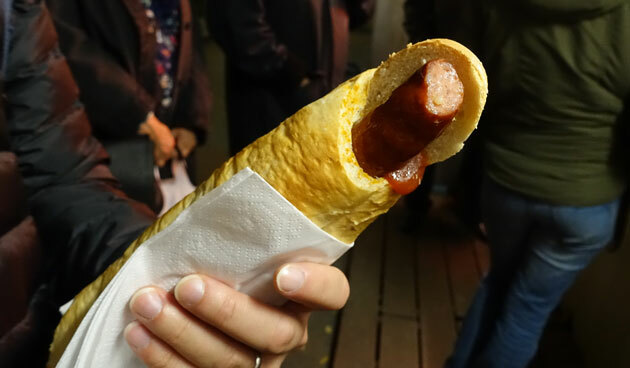 At least we had some great casual street-side eats – bratwursts, hotdogs, pastries, strudels. 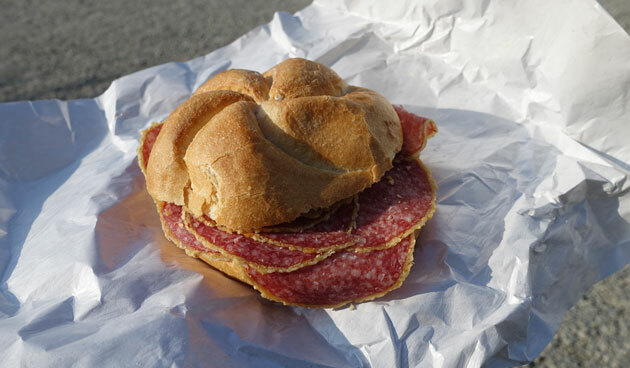 One of my favourite discoveries was the realisation that all supermarkets offer a deli counter where you can request a DIY sandwich – just pick your favourite cold meats and cheeses, and they’ll slice it up for you and make it into a sandwich for only around 2 or 3 Euro. 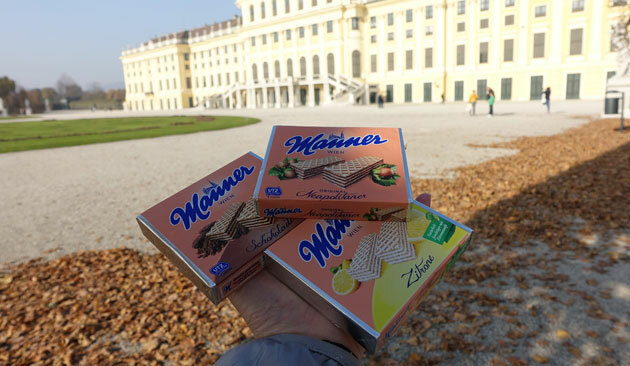 I can’t finish any entry about Vienna without quickly mentioning the best sweet wafers I’ve ever had – the Manner Neapolitan wafers. Yes, they are better than Loackers! 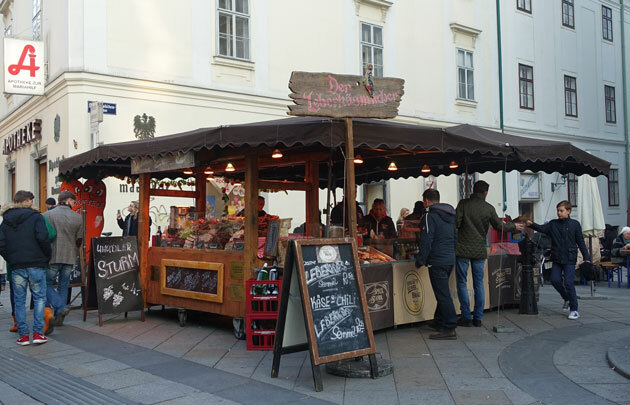 A Vienna specialty, they are truly irresistible, and I think I ate almost a pack a day while I was there. I highly recommend trying the Manner wafers if you ever see them available. 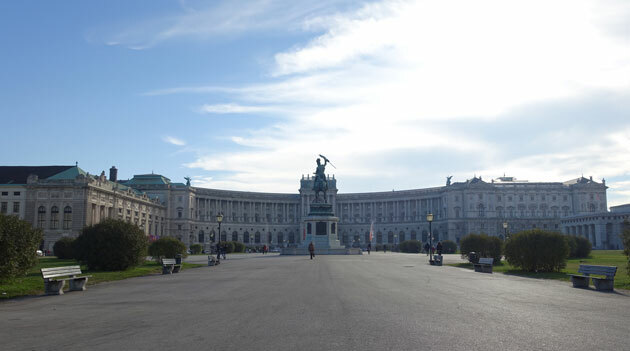 I really loved our visit to Vienna, but I know it’s not for everyone. 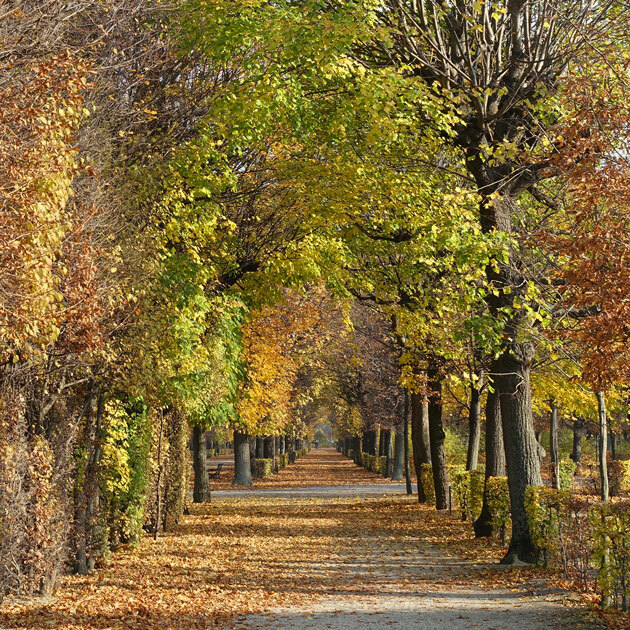 If you’re not that into history, and not that into walking around parks and gardens, it’s not for you. 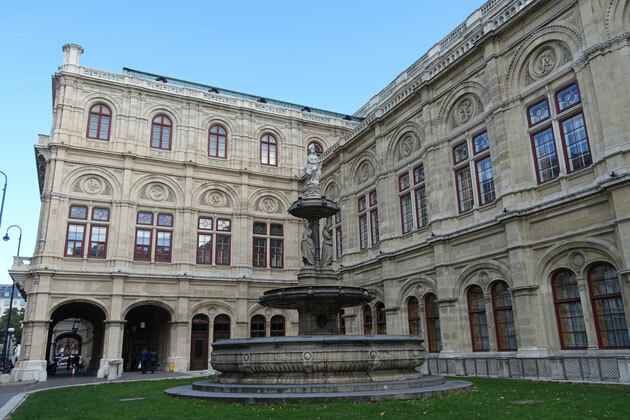 But if you love beautiful buildings and landscapes and a place that bleeds history in every cobblestone, Vienna is the place to go. 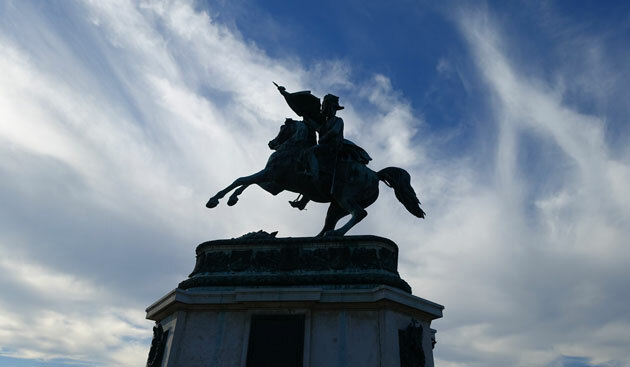 It’s a particularly relaxed and laid-back city (everything is closed on Sunday so people can have family time! 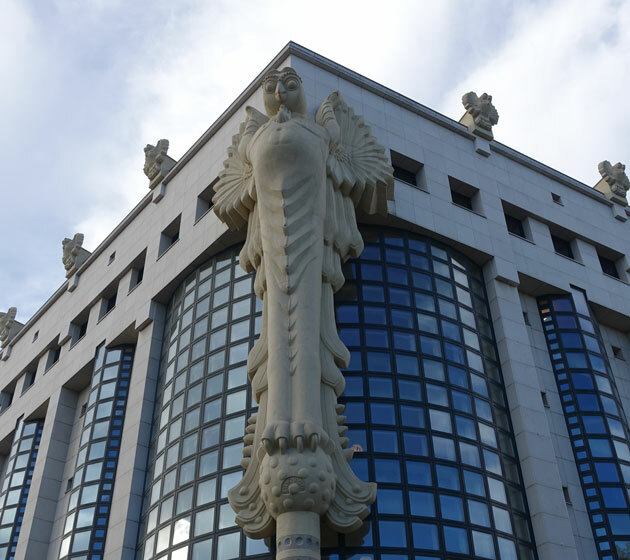 ), and a perfect stop if you’re looking for a bit of a break in a longer trip – plus it’s in close proximity to Bratislava which is an interesting peek into a post-Soviet city. 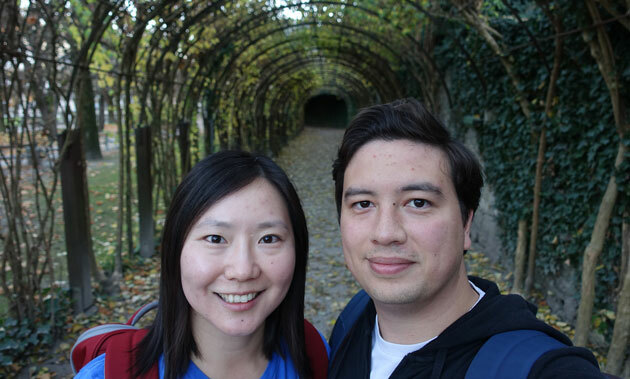 A fantastic meal at Restaurant Steirereck wasn’t the only way I got to celebrate my birthday while we were in Vienna. 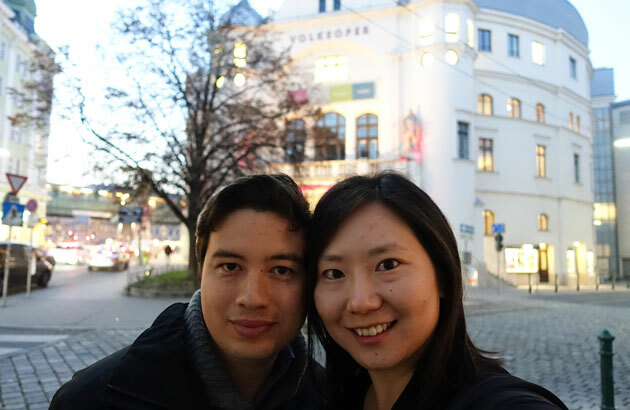 K also treated me to a performance of The Merry Widow at the Volksoper the day after my birthday – a beautiful operetta that was quite hilarious in parts. With the performance starting at 7pm, we wandered down the road to Restaurant Weimar to have a quick dinner before the performance. 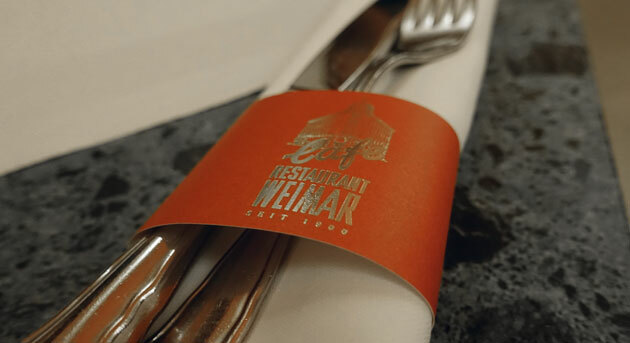 First opened in 1900, Restaurant Weimar claims to be one of the oldest traditional ‘coffeehouses’ that are such an integral part of Viennese culture. 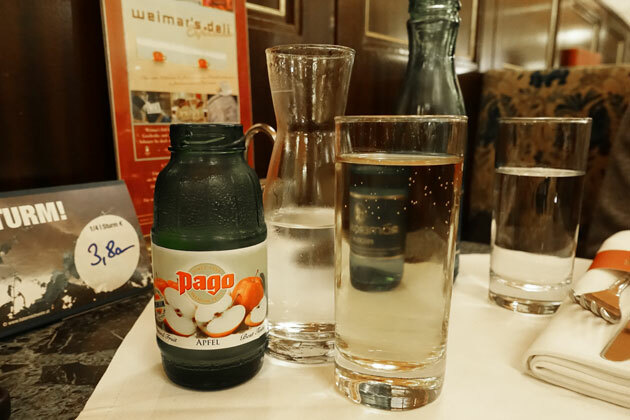 Given its proximity to the Volksoper, there’s a long tradition of performers, artists, and other people connected with the Opera having their meals at Restaurant Weimar. Our waiter gave us German menus to start, but quickly switched them for English menus once he saw us just blankly staring at the German wording trying to figure out what everything meant! 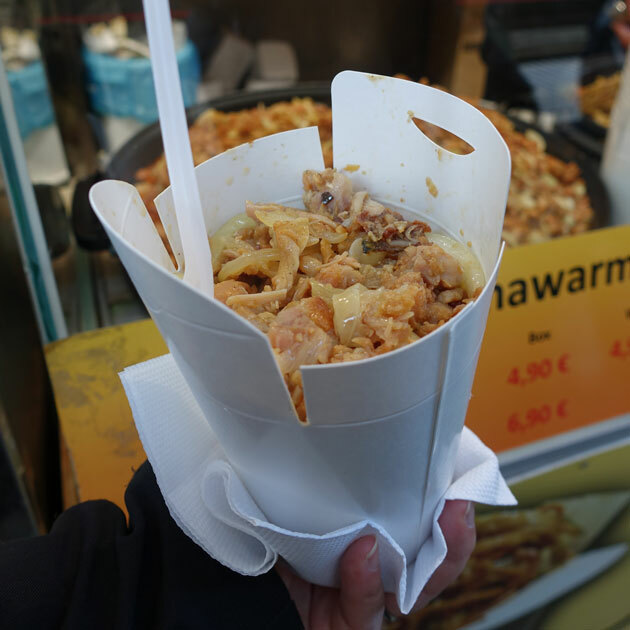 While I was pretty good at recognising words like “kartoffelkloesse” and “spaetzle”, translating a whole menu was beyond my skill level. 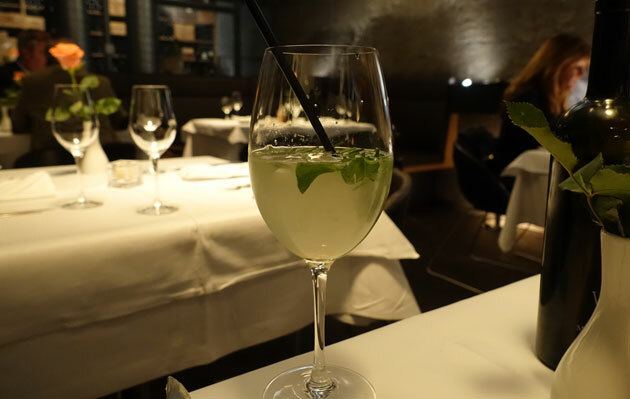 He took our drink orders as well – K just had a sparkling water, but I chose one of my favourite German drinks, an Apfelsaft gespritz where a bottle of apple juice is diluted with sparkling water to make it more refreshing and spritzier! 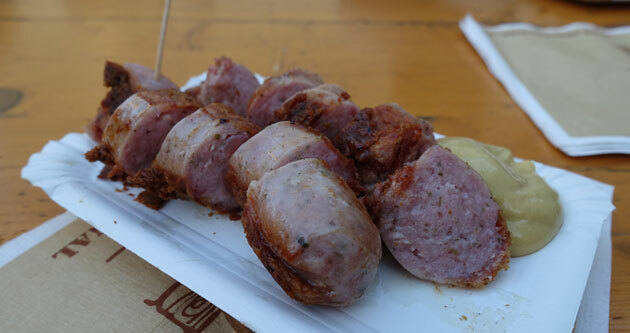 I chose to have the Roasted Sausages for my meal, decadently wrapped in bacon before being cooked to crispy, with the savoury sausage meat near-bursting from its skin. 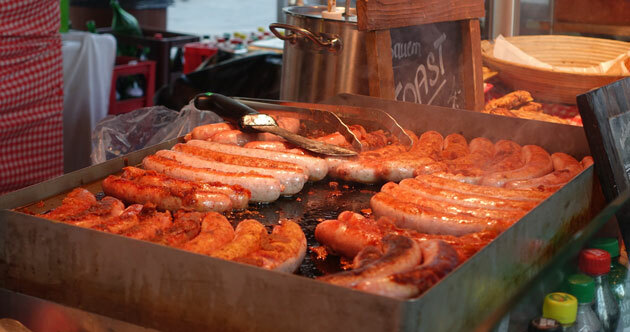 Honestly, I think the sausages would have been tasty enough on their own – the wrapped bacon was overkill, and almost made it too salty. 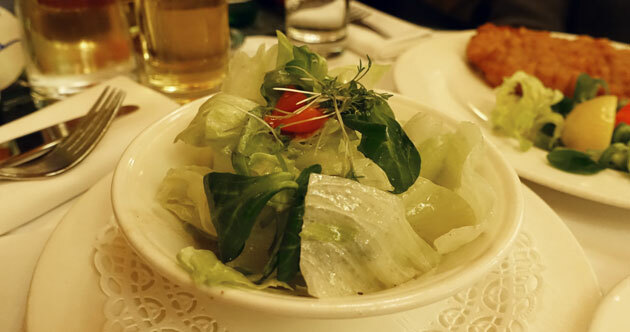 The sausages were served with an ‘assorted salad’ – iceberg lettuce, spinach leaves, and some cherry tomatoes. 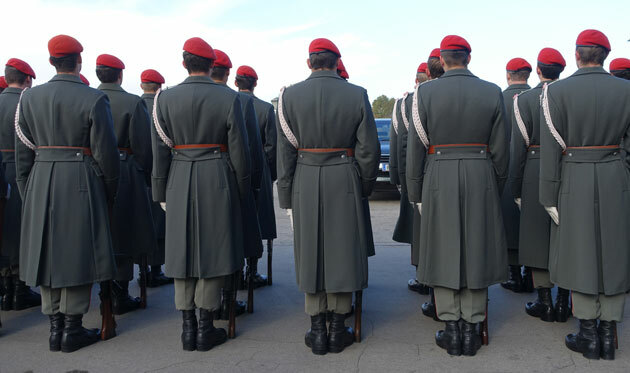 A little over-dressed, but then again, I’ve found that to be a problem with almost every restaurant that we went to in Austria and Germany – people seem to get a bit vinaigrette-happy! K chose the Pork Wiener Schnitzel for his meal. 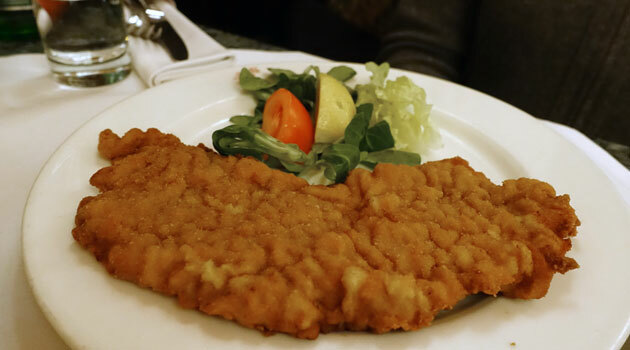 Honestly, not a great schnitzel – you can tell from the photo that the batter was a little bit lumpy and much too thick. It really doesn’t rate well next to excellent schnitzel that we had at Zum Alten Fassl just a few days earlier. The highlight of the schnitzel was the parsley potatoes that it was served with. 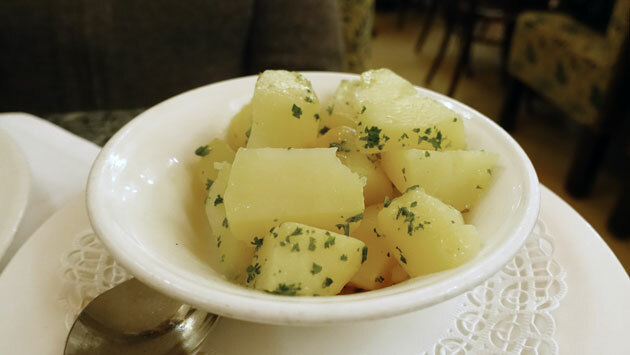 The parsley was minimal, but the potatoes were lovely and buttery and soft. Not the best choice if you’re trying to watch what you eat, as the layer of melted butter at the bottom of the bowl was quite alarming! We finished off our meal with a hot drink each. K had a decaffeinated cappuccino – which was an interesting experience in ordering, as the menu obviously doesn’t state ‘decaffeinated’ coffee at all. 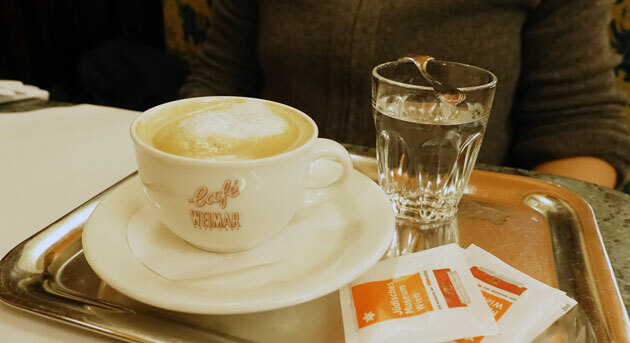 Trying to make our waiter understand what K wanted was interesting – for those who need to know for future reference, I believe you ask for “koffeinfrei” in Austria, and “entkoffeiniert” in Germany (someone please correct me if I’m wrong!). 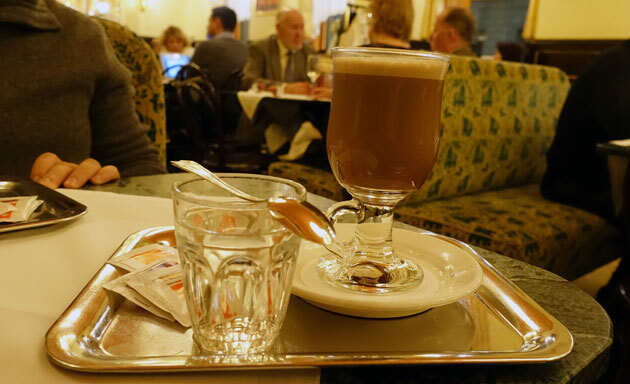 I had a hot chocolate which like the coffee, was served with a little glass of “Viennese water” as per the coffeehouse tradition. It’s a brilliant idea, as the hot chocolate was very creamy and rich and just having a little glass of water to drink after the hot chocolate really helps to cleanse your palate. 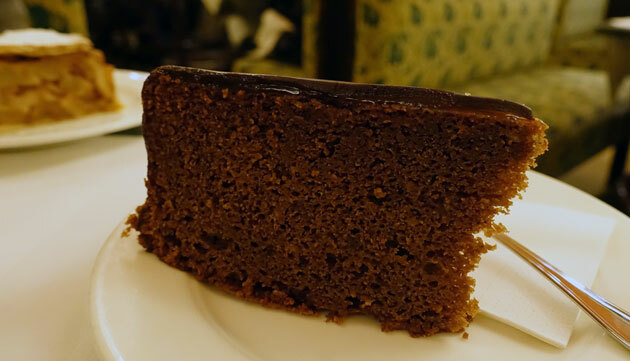 A Viennese dessert specialty is the Sacher Torte – a simple chocolate cake covered with a thin layer of apricot jam, before being covered again with chocolate icing. You can just see the layer of apricot jam in this photo. 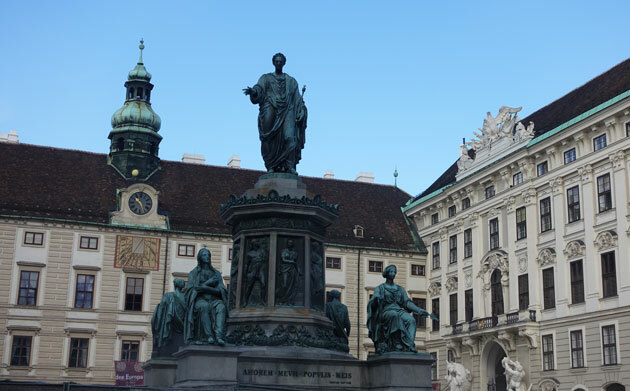 There’s a bit of controversy around the ‘original’ sacher torte and where it was made, but the Hotel Sacher in Vienna seems to have the most legitimate claim – the torte is named after them after all! It’s a beautiful torte, with a surprisingly light cake that is really made perfectly sinful by the rich chocolatey icing and the sweet but subtle apricot jam. This is one to try making at home! 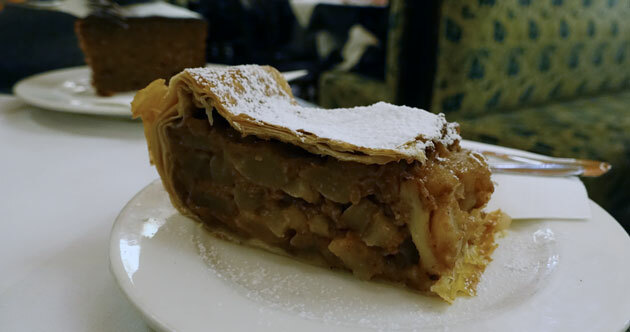 We finished off our desserts by ordering an apfelstrudel – another classic traditional Viennese dessert. 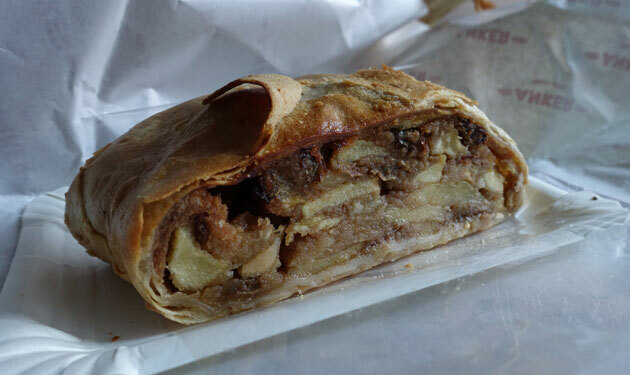 I found the crust on this strudel a little bit too thick, but the apple mix inside was quite delicious and reminiscent of Christmas with its hints of cinnamon and other spices. Restaurant Weimar may be a Viennese classic, but I think that their reputation is helped by their convenient location near the Volksoper. 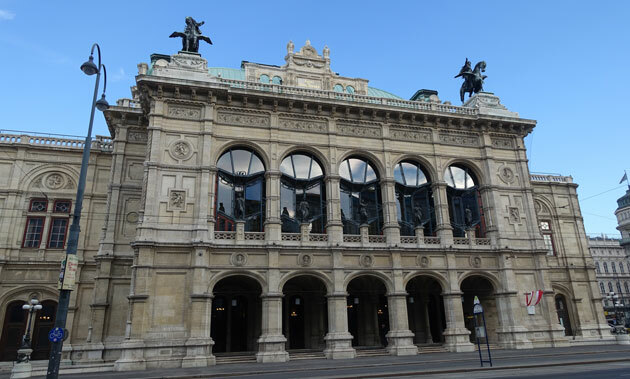 When there aren’t that many other dining options available in the area, they become a default choice for many opera attendees. 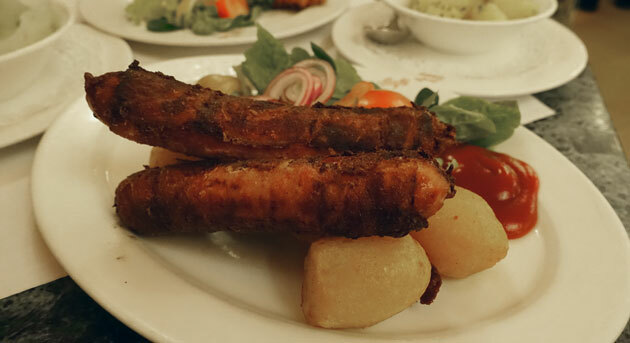 We certainly had better wiener schnitzels elsewhere, and the other main meals were a little lacklustre. 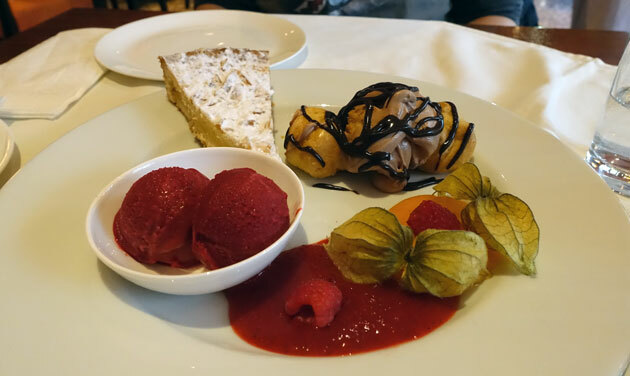 By all means, pop into Restaurant Weimar for a coffee and cake after the opera, but try and look elsewhere for your main meal. 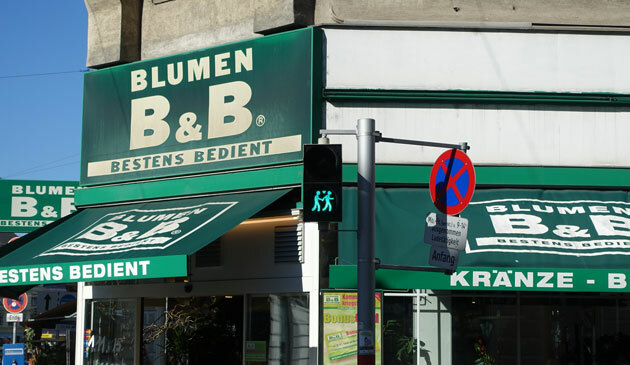 Restaurant Weimar is located at 68 Währinger Str, Vienna.